This November Aveda is introducing Speed of Light, a 90% naturally derived blow dry primer that can reduce blow dry time in half. The vegan and silicone-free formula uses lactic acid from sugar beets to lower the pH of hair and also flatten the hair cuticle. By helping to seal the cuticle, it help to separate hair strands, increasing the airflow around the strands which results in a decreased blow dry time. Suitable for all hair types, Speed of Light Blow Dry Accelerator will retail at £21. 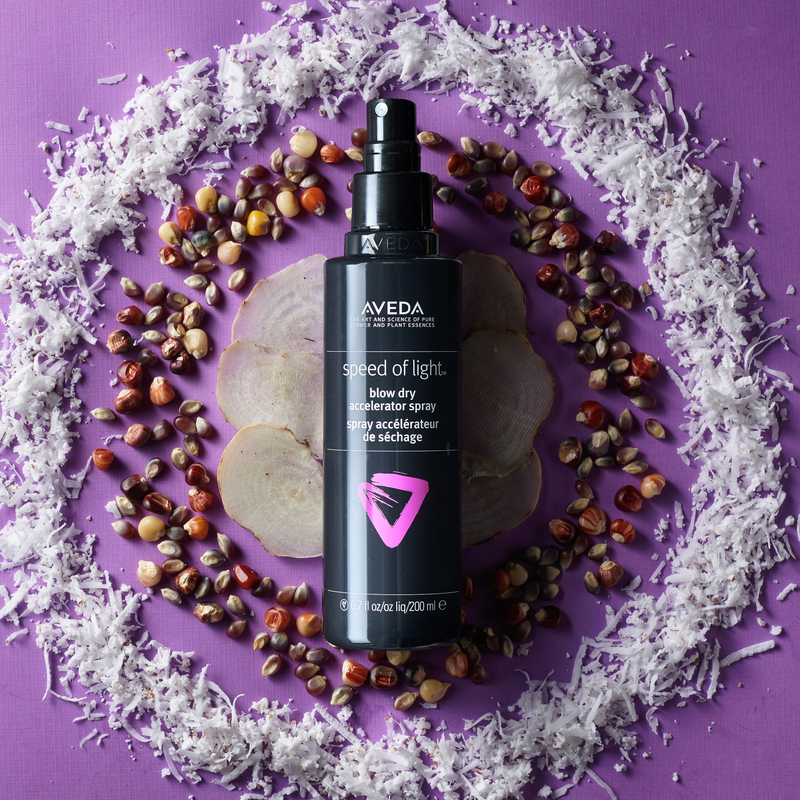 Housed using 100% post-consumer recycled plastic, Speed of Light also features the #SmellsLikeAveda signature Pure-Fume aroma, certified Organic Mandarin, Star Anise, Ylang Ylang and other pure flower and plant essences.